As the nation deals with record numbers of suicides, hospital emergency rooms, with a relatively simple intervention and diligent follow-up, may be able to reduce by half the high risk that patients they treat will try to take their own lives again. National Public Radio reported on a newly published Veterans Affairs study of more than 1,600 patients at five sites across the country treated in ERs for suicide attempts, following up on their care for six months. Researchers found that ER doctors, nurses, and social workers — even with little training — can help prevent the “ticking time bomb” of patients’ potential repeat suicide attempts by helping them with a Safety Planning Intervention. In brief, in the intervention, clinicians in the ER talk with patients to help them to understand and to describe their warning signs of suicidal behavior, and how they might better react to them, especially with the help of friends and loved ones. They work with caregivers to figure how they can distract and defeat destructive impulses — by ensuring, for example, that firearms are locked far from them or by putting on favorite music or playing video games. Patients, researchers noted, know their own warning signs well. But too often they lack ways to deal with momentary despair that can be fatal, with one study showing that as many as 80-plus percent of those who attempted suicide but survived killing themselves within a year. 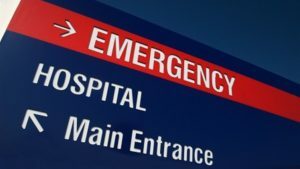 Experts say that ERs have become a prime and sometimes only point of contact that the suicidal have with medical expertise, and many treated patients have no history of mental disorders. Experts quoted by NPR emphasized that follow-up, especially by repeat phone call check-ins in the 72 hours after an ER visit for a suicide crisis, is a key element of the potential effectiveness of the safety intervention regimen. VA researchers said it resulted in “45 percent fewer suicidal behaviors, approximately halving the odds of suicidal behavior over six months,” and patients treated with it “had more than double the odds of attending at least one outpatient mental health visit” to start getting more and crucial psychiatric care. In my practice, I see the harms that patients suffer while seeking medical care, and like too many millions of Americans, I know the tragedy of suicide. These deaths, as experts note, are preventable. We, individually and as a society, need to do what we can to support friends, loved ones, and, yes, some of the most accomplished people we can think of, as they grapple with depression, real and perceived personal and professional setbacks, and other factors that may lead them to consider taking their own lives. We must end the stigma surrounding mental illness and its care, so individuals in need can more easily, readily, and affordably access safe, efficient, effective, and even excellent mental health treatment. To be clear, the patients in the study that NPR reported on were likely lower-risk suicidal patients — researchers said ERs, to their credit, appear to be hospitalizing the highest risk individuals for intensive care. This study also was conducted by records research, not with direct patient contact, and it was not a rigorous, randomized clinical trial, so its results show an association and not a direct result. Still, the safety intervention and other evidence-based methods offer institutions and individuals insights and ways to deal with the toll of Americans who take their own lives. The federal Centers for Disease Control and Prevention recently reported — just as news media told of the self-inflicted deaths of celebrities Anthony Bourdain and Kate Spade — that 45,000 Americans aged 10 or older died by their own hand in 2016. Suicide is the tenth leading cause of death in the United States, and one of three that is increasing. The other two are Alzheimer’s disease and drug overdose, in part because of the spike in opioid deaths. Firearms were by far the leading method, accounting for about half of suicides.